I am a member of local drag club and we have a annual burnout comp each June. The last two years I entered my WB 1tonner with the old 253 and whopping 740 Rochester on it. That is how I purchased the car. She smoked well but short on hp it is difficult to keep the tyres pumping smoke. So I have bought a VP Commodore V8 304 one with the black heads. Already I secured a 308 head with rollers and hot cam. I will be using rollers off head to place on my VP eight. Has a 350 auto box,which in the new year a mate will recondition and turn it to a straight shifter, goodbye full auto, it is costing so not a true mate, regardless and have a 2850 stall convertor lined up to put on the front. I started modifying the intake manifold, to make a 4 can vertical draft injection NA motor. I am having second thoughts and probably will go turbo in future. So I am willing to wait and maybe go turbo first up. As converting 4 air box into turbo is a of work. Sounds like you have a great project going on there. One thing to keep in mind is that just because you bolt a 400hp turbo to each side of the motor doesn’t mean she will hit 750~800hp. Really you need to take your overall displacement and divide it by two, so if you have a 4.0L engine stroked to to 4.4L then each engine head will flow 2.2L of exhaust gas so I would be looking to buy a turbo rated 400 ~ 550hp designed to work with a 2.2 ~ 3.0L displacement. 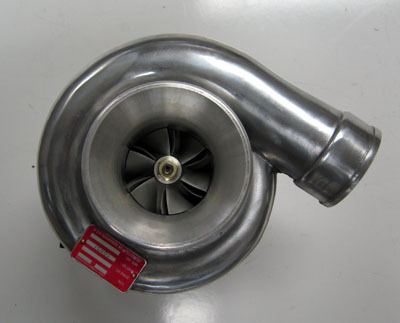 Also keep in mind you will need a turbo designed to spool up early as it will be on a larger engine. Unfortunately we don’t sell turbochargers but where are you located? I might be able to recommend someone in you area.